One of the latest developments in the solar battery storage space are ‘flow’ batteries (or ‘zinc-bromine flow batteries’ if you want to get technical!). 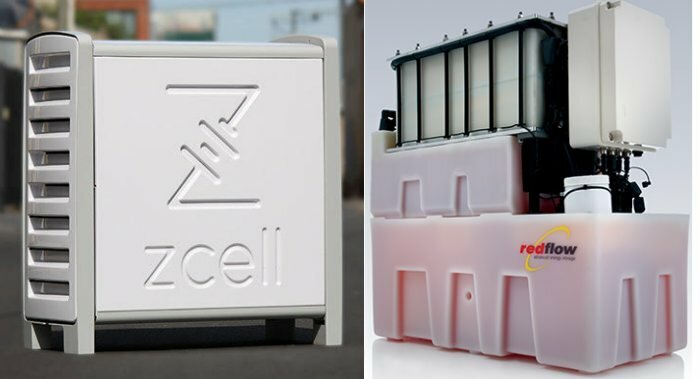 Flow batteries actually describe a number of similar technologies that all fall under the same umbrella, but this page will predominantly discuss the ‘Zcell‘ Zinc-Bromide batteries manufactured by the Australian company RedFlow. How Do Flow Batteries Work? Discussing the science behind flow batteries can get rather technical, so I’ll massively simplify it and relate the explanation to the ZCell. 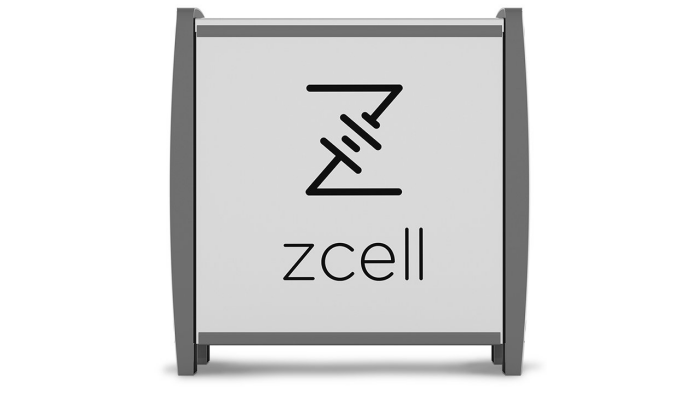 A ZCell flow battery is mostly made up of a water based liquid (zinc bromide) that flows between two tanks. When the battery charges, the zinc is extracted from the liquid and stored separately on plates. When discharging, the zinc is put back into the liquid. These processes are called “plating” and “deplating”. The zinc solution ‘flows’ from the big plastic tank stored in the bottom of the unit to the electrodes at the top (called the “stack”). The following image (left) depicts the ZBM2, which forms the basis of the ZCell, showing the flow battery’s tanks and stack. One of the major advantages that flow batteries have over lithium-ion and lead-acid batteries is that they have a 100% depth-of-discharge – which means the battery can be entirely discharged in a cycle with no negative effects on the lifespan of the battery. For comparison, lead-acid batteries have a 60% depth-of-discharge, and lithium-ion batteries have around an 80% depth-of-discharge. They can tolerate extreme weather conditions, up to 50 degrees Celsius. The zinc-bromine liquid inside the flow batteries is a natural fire retardant. There is no chance of a thermal runaway (explosion!) due to the physical separation of the different battery components. Flow batteries are cheaper to refurbish due to their simple modular construction. For example, you can restore a ‘dead’ battery by simply swapping the electrode – for half of the original price of the battery. A disadvantage of flow batteries is their expected life cycle compared to lithium-ion batteries – they have a lifespan of approximately 4000 cycles at 100% depth-of-discharge, which is less than lithium-ion’s 5000-6000 cycles at 80% depth-of-discharge. How much do flow batteries cost? The Redflow Zcell (a 10kWh battery) currently costs around $12,600 AUD, not including inverter or installation. 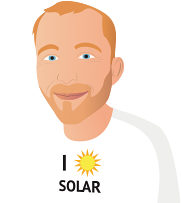 You’ll also need a system size of at least 5kW to be able to charge your batteries consistently, which will cost roughly $7,000. So, a ready-to-go setup will cost you around $20,000 AUD in total. I’ll be the first to admit that $15,000+ is a lot of money for the average Australian to find, even if they’re extremely keen on adding solar battery storage to their PV system. My recommendation is for people to wait a year or two for battery prices to drop further before they consider adding them to their home solar power systems. I personally believe that advantages of flow batteries, outlined above, means they can seriously compete with lithium-ion batteries to become the de facto battery storage technology for solar panels in the future – but first, flow battery manufacturers need to get costs down to a level that’s more reasonable for mass-market adoption.